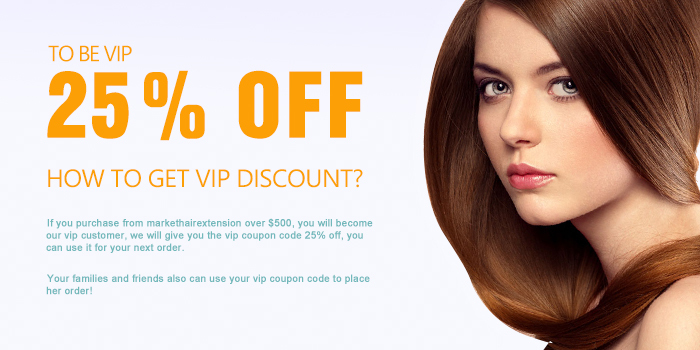 When you purchase on our website for over C$500, then you can apply our VIP member, then you can enjoy the extra VIP discount 25% off at the next purchase and your families and friends also can use your VIP discount to purchase on our website! When you find you have purchased on our website over C$500, then you can send the email to : customerservice@markethairextension.com,with the subject 'I want to join the VIP club', and put your email in the content which is your order used, then we will review order history by you. When your application is passed we will notify you with a email letter!